The dangers of secondhand cigarette smoke are well documented, and have led to several laws restricting where people can smoke publicly. The dangers of secondhand marijuana smoke, though, have not yet been researched. A recent study led by Karen Wilson from the Ichan School of Medicine at Mount Sinai attempts to fill that research gap and by understanding what secondhand marijuana smoke does to young children. Her study, recently accepted for publication in Pediatric Research, claims that children’s bodies pick up both secondary smoke and THC, the drug’s psychoactive chemical, when they’re around adults who use marijuana. Wilson analyzed the urine samples of 43 young children hospitalized for bronchitis at the Children’s Hospital Colorado between 2013 and 2015. The kids were between 1 month and 2 years old, with 52 percent being under a year old. The parents also filled out a survey about whether they or another caregiver exposed their kids to marijuana smoke. The researchers analyzed the urine for “traces of marijuana metabolites,” measured as levels of COOH-THC. Sixteen percent of the samples had levels of COOH-THC, with concentrations between .04 and 1.5 nanograms per milliliter. They also found that children whose parents reported that they were exposed to marijuana were “strongly associated” with the children who had COOH–THC in their urine. “While documenting the presence of metabolites of THC in children does not imply causation of disease, it does suggest that, like tobacco smoke, marijuana smoke is inhaled by children in the presence of adults who are using it,” Wilson said. In other words, children’s bodies can pick up chemicals from marijuana smoke, like THC, just like chemicals from tobacco smoke. The scientists also looked for cotinine, a biomarker that reveals exposure to tobacco smoke. 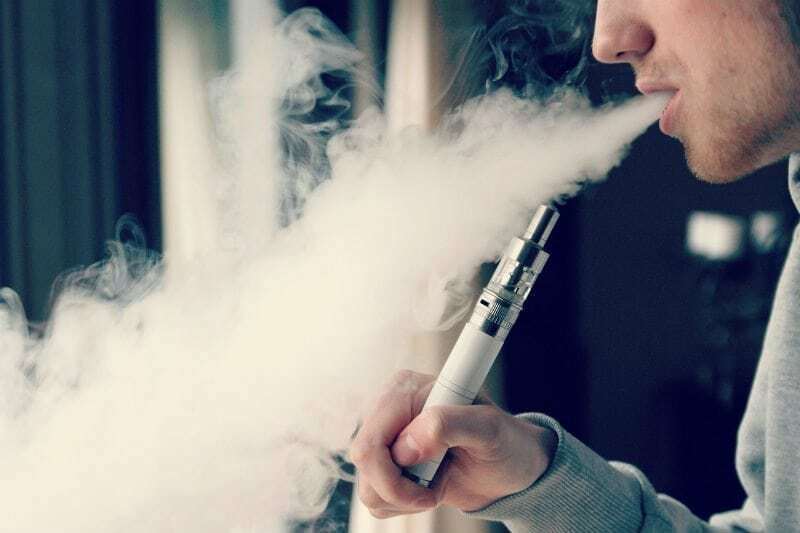 Of the children with cotinine levels above 2.0 nanograms per milliliter in their urine, 56 percent also had COOH-THC in their systems – whereas only 7 percent with lower tobacco smoke exposure had detectable COOH-THC. The connection between COOH-THC and cotinine shows that young children who were exposed to tobacco smoke were more likely to also be exposed to marijuana smoke. Wilson’s accepted manuscript still needs to undergo peer review, but she believes the research is pressing. “This research will help inform appropriate educational materials and outreach to parents and caregivers who use both marijuana and tobacco in the presence of their children,” she said. Featured Image Courtesy of Vaping 360. Previous article Will YouTube Ever Have Some Real Competition? Ashlyn is an assistant editor for Innovation & Tech Today. She usually edits the work of other contributors, but enjoys writing about space, STEM education, and sustainability.